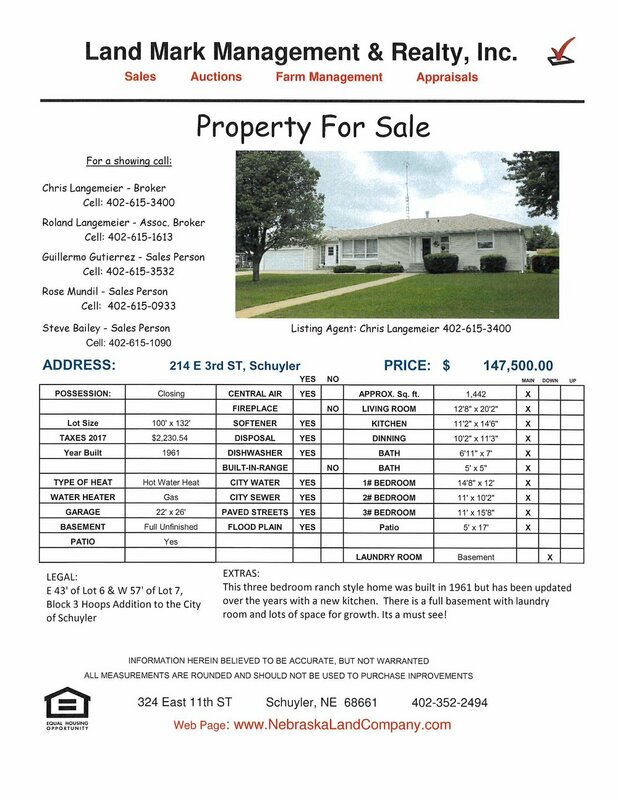 214 East 3rd Street — Schuyler, Nebraska — Land Mark Management & Realty Inc. This three bedroom ranch style home was built in 1961 and has been updated over the years. Along with the three bedrooms it has two bathrooms and a full basement ready for your families growth. The house is in the flood plain.